Last month, JMC fellows Glenn Moots and Phillip Hamilton co-edited a book on the American Revolution’s moral and legal implications. With a release date in the vicinity of Independence Day, this text offers timely reflections on moral, legal, ethical, and theological topics crucial to any study of America’s Revolutionary war. The American imagination still exalts the Founders as the prime movers of the Revolution, and the War of Independence has become the stuff of legend. But America is not simply the invention of great men or the outcome of an inevitable political or social movement. 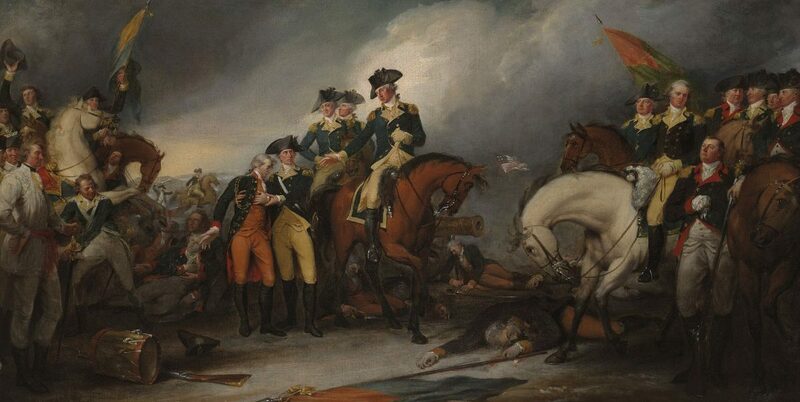 The nation was the result of a hard, bloody, and destructive war. Justifying Revolution explores how the American Revolution’s opposing sides wrestled with thorny moral and legal questions. How could revolutionaries justify provoking a civil war, how should their opponents subdue the uprising, and how did military commanders restrain the ensuing violence? Drawing from a variety of disciplines and specialties, the authors assembled here examine the Revolutionary War in terms of just war theory: jus ad bellum, jus in bello, and jus post bellum—right or justice in going to, conducting, and concluding war. The chapters situate the Revolution in the context of early modern international relations, moral philosophy, military ethics, jurisprudence, and theology. The authors invite readers to reconsider the war with an eye to the justice and legality of entering armed conflict; the choices made by officers and soldiers in combat; and attempts to arrive at defensible terms of peace. Together, the contributions form the first sustained exploration of Americans’ and Britons’ use of just war theory as they battled over American independence. Justifying Revolution raises important questions about the political, legal, military, religious, philosophical, and diplomatic ramifications of eighteenth-century warfare—questions essential for understanding America’s origins. 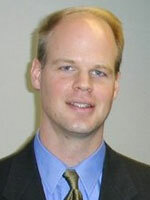 Glenn A. Moots is professor and chair of political science and philosophy at Northwood University in Midland, Mich. He has been published in Perspectives on Political Science, Humanitas, Locke Studies, The Journal of Politics, Hebraic Political Studies, Eighteenth Century Studies, Anglican and Episcopal History, Journal of Markets & Morality, The University Bookman, Choice, Journal of Religious History, American Historical Review, Anamnesisjournal.com and in edited collections. He is author of Politics Reformed: The Anglo-American Legacy of Covenant Theology (University of Missouri Press 2010) and currently working on a broad history of the intersection of religion and politics from Augustine to America. In the academic year 2013-14, he served as a William E. Simon Fellow in Religion and Public Life in the James Madison Program in American Ideals and Institutions in the Department of Politics at Princeton University. He has also held fellowships from the Earhart Foundation, the Huntington Library, the Jack Miller Center for Teaching America’s for Teaching America’s Founding Principles and History, the Acton Institute, and the Intercollegiate Studies Institute. He earned his doctorate in political science from Louisiana State University and earned additional graduate degrees in philosophy and financial economics from Louisiana State University and Walsh College. He earned his undergraduate degree at the University of Michigan. Dr. Hamilton is a professor of History at Christopher Newport University specializing in the American Revolutionary and Early Republican periods. He has published widely on this period, including his books The Making and Unmaking of a Revolutionary Family: The Tuckers of Virginia and The Revolutionary War Lives and Letters of Lucy and Henry Knox. He teaches courses on early American history, American slavery, the Civil War and Reconstruction, and the history of Virginia. He received his PhD in History from Washington University in St. Louis, his MA in History from George Washington University, and his BA in History from Gettysburg College.